I disappeared in quilting land to finish my large quilt. It's done, and I'm trying to enter it in a juried show. I don't think I'm going to post it before I know if it's in or not, but here's another little peek at the quilting. I've also been working on the collaborative piece with my little GD. We started to machine-quilt it, but she quickly lost interest... She says it's taking too long and it's boring... She would much prefer to embroider it. I think I'm going to quilt it myself, and then let her try the machine embroidery stitches. She likes the flowers and the heart stitches of course. Love the collaborative quilt. Mia was like that. We had so many unfinished projects - she was easily bored. LOL I can't believe that she starts highschool next year. 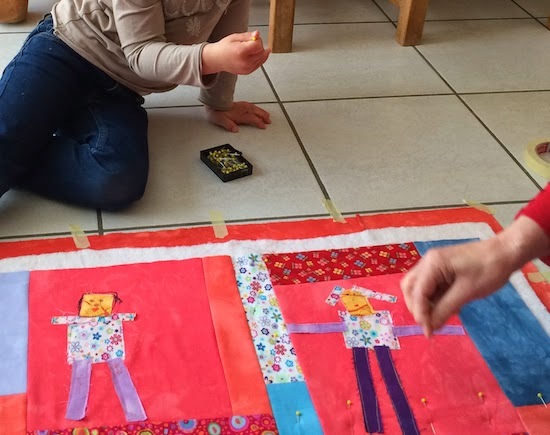 What a wonderful quilt, I don't think they mind how much input they have, I think they're just thrilled to have made something. Beth, one of my gd's is now 20 and just left home, but she proudly told me she still had all the projects we made together. 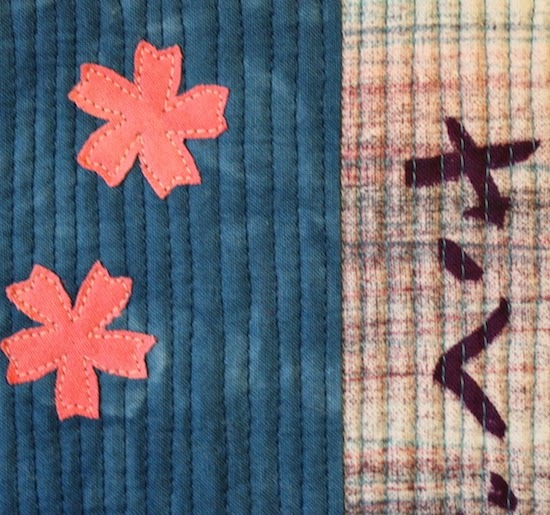 Good luck with your juried quilt. Your granddaughter's quilt is going to be lovely. Good luck with your quilt, the glimpses are intriguing. 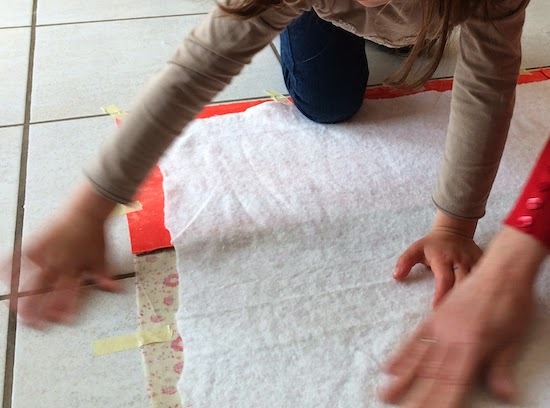 The project with your granddaughter looks so much fun - will be lovely. Best wishes on your quilt being accepted! The joint quilt looks like a neat one. I don't blame her-some parts of quilting are more fun than others. She's lucky to have you to help her along. What a great collaboration! This quilt will be a treasure for her in so many ways.